Tech companies and Bernie Sanders have found the millennial audience easy to crack. Organizations in and around healthcare? Not so much. 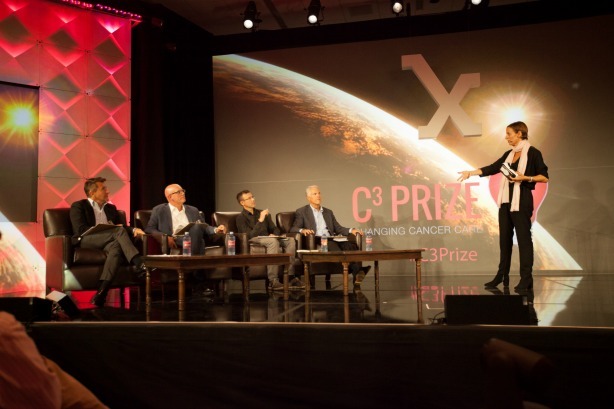 The five finalists for Astellas Oncology’s C3 Prize presented on September 17. The healthcare industry faces many obstacles, but no challenge is greater than convincing millennials, as consumers, that they need its products and services. Most of the time, health insurance is seen as a “deferred disaster,” notes Steve McCallion, CMO and creative director at Zoom+, a Portland-based company that provides on-demand healthcare and health insurance. Millennials, he says, are not used to making that kind of a purchase. McCallion adds that millennials look at health insurance the same way they look at gas or electricity — they do not really care what company they end up with. “For us, it is breaking through that and helping people understand the relevancy of it,” he continues. See also: Health Influencer 50: PRWeek and sister title MM&M’s list of the top 50 power players in the health sector. 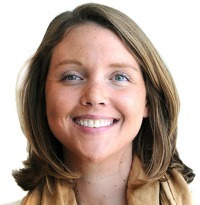 In an increasingly competitive marketplace, insurers must focus on meeting customers on their terms, says Katie McGraw, VP of Shift Communications’ healthcare practice. First, it is important to understand younger consumers value an “inside-out” approach in regard to their health, Schoen says. Millennials are into wellness and are more likely to think about exercise and eating properly than seek medical intervention. Zoom+ focuses on millennials’ love for wellness by offering customers a health insurance that enhances human experiences. “The brand focuses on the kinds of experiences you have in life as opposed to what happens when you get ill,” notes McCallion. Wisconsin-based insurer Network Health also has wellness programs that grant members gift cards or other incentives for doing certain activities — such as completing a marathon — to stay healthy. Its wellness site is personalized and shows individual members their wellness score and activities. “As companies personalize services, they will see millennials can be loyal to their brand if they are engaged in the right way,” says Melanie Draheim, Network Health’s director of marketing. McGraw says, to appeal to millennials, the health system must make it easier for them to find information and keep it digestible. For instance, experts agree the Affordable Care Act’s language might as well be gibberish to most consumers. To help consumers understand how Zoom+’s insurance works, the company created an animation McCallion notes is reminiscent of Schoolhouse Rock! In the video, Zoom+ uses language rarely associated with insurance. “It’s definitely different. The purpose of the animation is to be simple, clear, and transparent with what we are doing,” he explains. But getting a message in front of younger consumers is difficult for healthcare companies. It used to be commonplace for a patient to stick with the same physician for decades, but millennials are forgoing that in favor of visiting retail clinics or pharmacies when they are not feeling well, says Schoen. Now, it is word of mouth referrals that seem to be playing well with younger consumers. McGraw notes that can be a blessing and a curse. Some are even turning to reputation management companies to address lackluster online reviews and create a strategy to better ensure positive feedback, adds McGraw. Healthcare organizations need to be cognizant of where and how they are mentioned in communities, via social, and through review sites such as Healthgrades and Vitals. Additionally, where possible, they need to engage authentically in online conversations often and early to mitigate potential negative word of mouth chatter, McGraw advises. Companies such as Oscar, which has been called the hipster health insurance company, are embracing consumer demand for simplicity by offering mobile-first access to its offerings via an app. Oscar, which launched in 2012, is already struggling to stay afloat. In an effort to attract customers, insurers such as Oscar have put prices on their plans that turned out to be too low to make a profit, according to media reports. Zoom+ also has a mobile app, which McCallion says garners most of its engagement. Users can schedule primary and urgent care visits with the press of a button. Millennials should be involved in the creation of products and should be asked for their ideas, notes Draheim. Network Health has an ongoing campaign called CoCreate involving a series of roadshows throughout Wisconsin that allow the company to listen to what people are saying about health insurance and gather their ideas. The company also recruited participants to brainstorm ideas, test solutions, refine concepts, and then prepare to launch something new. Astellas also engages millennials around the company as a corporation and innovator. Although the target consumer for pharma brands tends to skew older, reaching millennials who might be the caretaker or loved one of the target patient is important, explains Tyler Marciniak, corporate affairs director and head of product communications at Astellas Americas. In April, Astellas Oncology launched the C3 Prize, a challenge aimed at “inspiring novel, non-treatment- and non-medicine-based ideas to improve cancer care,” he says. These ideas, he adds, could include technology innovations. Nearly 120 submissions were received and the five finalists presented their ideas at Stanford’s Medicine X on September 17 in front of judges including entrepreneur and Shark Tank star Robert Herjavec, who was a caregiver to his mother during her battle with ovarian cancer. Diane Jooris, cofounder of Oncomfort, a health-tech company that uses virtual reality to help patients by providing anxiety and pain self-management tools, was named the grand prize winner and received a $50,000 grant, mentorship from Astellas, and membership to Matter, a health tech-focused start up incubator. “We use millennials not only for therapeutic awareness and goals, but also to position Astellas as an innovator in healthcare, as an exciting place to come and work, and an exciting brand to be a part of,” explains Marciniak.